The appearance of black mold can take all the relaxation out of your bath-time. The words can inspire a great deal of fear, whether you’re a homeowner, a real estate agent, or even a contractor. Like any kind of mold, it can be a big problem when it shows up, and all it needs in the way of an invitation is an environment that offers the conditions it likes. But what exactly is black mold? In houses, mold can be an ongoing problem if it isn’t addressed quickly. Black mold in particular can be a big issue for a number of reasons, from deteriorating air quality to health concerns over time. Also known as stachybotrys chartarum, toxic mold tends to be greenish black in appearance. Not every type of mold seen in this color will be “black mold”, but any type of mold in your home is something you’ll want to get rid of as soon as possible. Achieving this hinges on being able to identify the problem, and prevention will ultimately come down to understanding the causes involved. When it comes to mold growth, there is one element that can always tip the scales in favor of this invasive – and potentially harmful – fungus. 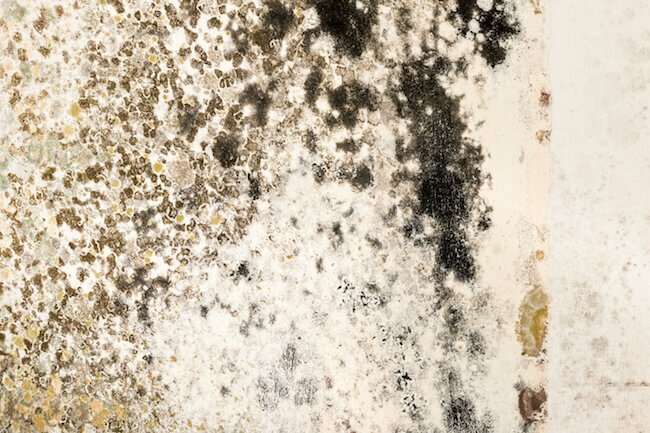 Simply put, mold needs moisture to grow and thrive, which means excessive dampness and humidity can create the optimal environment for it to invade. Damp conditions won’t always be avoidable, but a quick response can still help you steer clear of mold growth in your home. 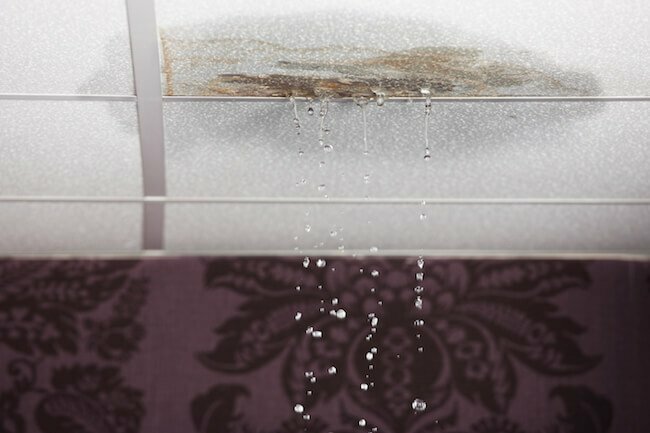 Water leaks don’t just damage things – they also lead to mold growth. Address water leaks as soon as possible, drying the affected area promptly. Use ventilation to eliminate moisture produced by appliances like stoves and dryers. When taking hot showers, either keep a window open or use the bathroom fan to keep the hot air moving out. Ensure that your gutters are cleaned and maintained regularly. Also confirm that the gutters are directing water away from the house’s foundation. The ground itself should slope away from the base of the building. Maintain the ideal indoor humidity in your house, which is generally between 35 and 50 percent. What are the signs and symptoms of black mold? If your home has black mold, you’ll want to do something about it as soon as you can. It can reproduce and spread very quickly, and if it reaches the point where its particles have gone airborne, it can become much harder to get rid of. But you can’t do anything to stop mold that you don’t even know about! Visible signs of mold – Stachybotrys chartarum tends to be a dark greenish black in color, with a moist, slimy texture. It is also found in a more powdery form, with a grey color. Of course, different types of mold can resemble each other, which is why categorizing what you see can be costly. It’s also unnecessary – any kind of visible mold represents a problem that should be taken care of quickly. Places to look include dark corners and damp areas, like cellars and bathrooms. An unpleasant smell – Mold in your home can be unpleasant for your eyes as well as your nose. The smell of mold – an earthy, musty scent of rot and dirt – can be easy to notice, especially when it’s confined to an area without much airflow. The smell tends to be more intense when it’s black mold, compared to other variations. At the same time, the scent could prove harder to detect if the mold is living within your walls. If you’ve discovered black mold – or any type of mold – in your house, the first thing you’ll want to do is figure out why it’s there to begin with. The presence of mold means there is something in the environment that’s allowing it to grow and thrive. This could be poor ventilation, a leak, or anything else you believe could have resulted in excessive moisture levels inside. He goes on to suggest that the customer in question should look into obtaining a better fan for their bathroom, the site of their mold issues. Removing the mold without taking this step would be pointless, and a waste of time – the fungus would only return, since the environment that allowed it to take hold would still be in place. As for the actual mold removal, Jerry recommends a 50/50 mixture of bleach and water with a scrub brush to clean it away from the surface – while being sure to protect yourself with a mask and rubber gloves. Once the affected area is clean, and has had time to dry off, he advises the application of Kilz primer, spackle, and then a fresh paint job. Sometimes mold issues are more extensive than they seem, or the fungus is present in a difficult-to-reach area, don’t just wait and hope for the best. Black mold, in houses or workspaces, can be a big problem if left unaddressed – speaking to an Expert on JustAnswer can bring you the insights you need to take the right steps moving forward. Day or night, these verified professionals can help you beat this fungus, and conquer your fear of the dreaded B-word. Is there mold in your house? Are you in the process of dealing with it, or have you already come out on top? Share in the comments!